Infinity Channel Swimming will provide you with a professional experienced service as North Channel pilot. 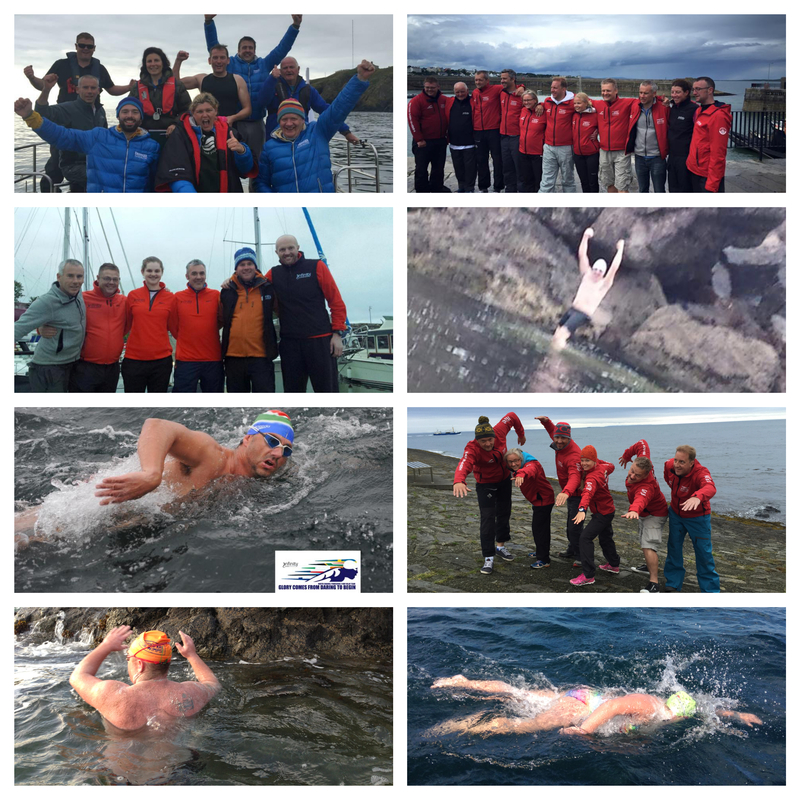 We are Pilot’s and North Channel Swimmers so we know what it takes to swim the North Channel successfully crossing’s in both relay teams and solos. We have experienced crew available if required such as Feeder’s, Support Swimmer’s and Medics. We can supply other equipment you may need but do not want to travel with such as flasks (hot water) white board, towels and grease glow sticks and other provisions. We are happy to advise help and discuss your strategy and approach to the North (Irish) Channel. We tailor the Channel swim to your speed using tides, currents and locations to best suits your North (Irish)Channel swim. A North Channel Swim will only be recognised when the start and finish is within the area defined by the United Kingdom Hydrographic Office’s Admiralty Chart 2198 North Channel Southern Part. According to the Irish Long Distance Swimming Association, no other route or course is recognised as a North Channel Swim. It is a distance of 34.5 km (21.4 miles). It is known for fickle weather, rough seas, tough currents and an abundance of jellyfish. Sometimes referred to as the Irish Channel. The North Channel is one of the channels in the Oceans Seven. Its swims, often done in 10.5-14°C (50-54ºF) water, are sanctioned and certified by the Irish Long Distance Swimming Association. The Dál Riata Channel Swim, previously known as the Mull of Kintyre Swim, is a newer and shorter 17 km (10.5-mile) course between Scotland and Northern Ireland pioneered by Wayne Soutter from Mull of Kintyre in Scotland to Ballycastle in Northern Ireland in 2012. In history, the first successful crossing of the North (Irish) Channel was in 1947 by Tom Blower…and few others have followed. There were quite a number of unsuccessful attempts in both directions. Nuala Moore explains, “…it is a body of water that requires the utmost of respect. Above both Scotland and Ireland, there are thousands of miles of sea, all raging and wanting to run south and north. When this water tries to squeeze between the two countries, the limited space forces the water to act very erratically. As the water runs through islands and in and out of headlands and bays, it goes every direction. Therefore, to a swimmer, there is no definite system of movement. The air temperature in the summer in the north is often 12-18°C – The erratic nature of these flows is why this stretch of water is the most respected. Alison Streeter MBE and Kevin Murphy both have three successful crossings. Kevin has two Ireland-to-Scotland crossing and one Scotland-to-Ireland crossing while Alison has one Ireland-to-Scotland and two Scotland-to-Ireland crossings.